Central America is looking towards the sky. The Dry Corridor strip, which stretches from Southern Mexico down to Panama and suffers from severe inclement weather due to El Niño, has become one of the hottest topics on the agenda in Latin America and the Caribbean. Although the term didn’t even exist until 10 years ago, today it symbolizes the region's vulnerability to the effects of climate change and the urgent need to build resilience. This article looks back on the evolution of the concept and the phenomenon. The intensity of extreme weather phenomena in Central America is nothing new. Since 1960, these phenomena have increased in frequency and regularity, with Guatemala, El Salvador, Honduras and Nicaragua among the 15 most affected countries in the entire world. Nowadays the inhabitants of this region live by the calendar. The purpose of this article is to analyze the Dry Corridor, the main organizations supporting the region in its resilience-building strategy, and some of the key moments in the history of this phenomenon to the present day. What is the Dry Corridor? As a strictly ecological concept, the Central American Dry Corridor (CADC) is a tropical dry forest region on the Pacific side of Central America that stretches from the Pacific Coast of Chiapas, Mexico, to the western part of Costa Rica and western provinces of Panama. For practical purposes, the most vulnerable countries that are the most prone to drought or extreme precipitation are Guatemala, El Salvador, Honduras, and Nicaragua. The Dry Corridor is known for its irregular rainfall, and has become one of the most susceptible regions in the world to climate change and variability. During years of El Niño-ENOS(1), for example, precipitation drops by 30% - 40%, with long periods of heatwaves during which there is hardly any rainfall. This window of time with no precipitation, which is increasing over time, has disastrous consequences on the cultivation of basic grain crops, such as corn, which are part of the region’s subsistence agriculture. In contrast, during years of more intense rains, there are tropical storms that often have devastating effects. The frequency and intensity of the droughts and floods has been increasing in recent years, as marked by ENOS, climate change, socioeconomic vulnerability, and environmental degradation. There are over 45 million inhabitants in the region, 40% of whom live in rural areas. 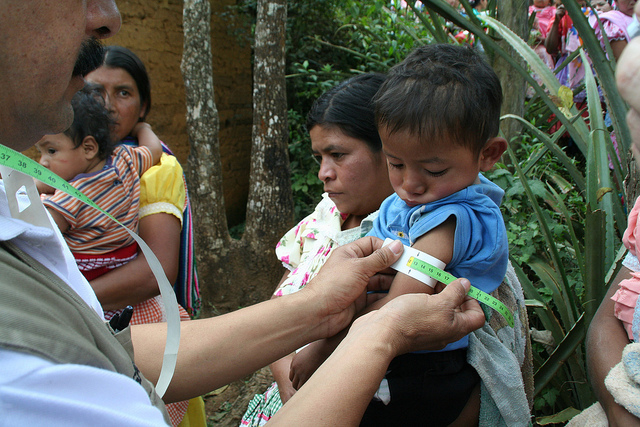 In Honduras and Guatemala, the rural population reaches 50%. Many of these people live below the poverty line, which affects more than half of the region’s inhabitants, and 20% are in situations of extreme poverty. 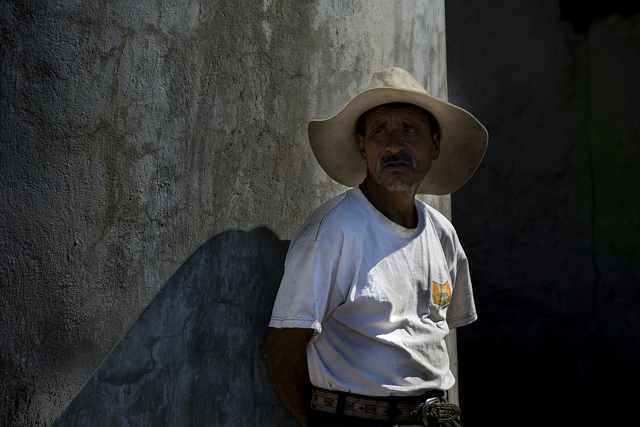 Approximately half of the 1.9 million small producers of basic grain crops in Central America live in the Dry Corridor region (anywhere from 54% - 67% of the population, depending on the country). The families living in these regions have very limited access to infrastructure and services and hardly even have the resources to face the risks they must deal with on a daily basis. It has been estimated that approximately 10% of the population suffers from malnutrition, a percentage that varies depending on the weather. FAO is the Food and Agriculture Organization of the United Nations, which works to reduce hunger and poverty in the world, promoting a global economic project that is socially equitable and environmentally sustainable. UNEP is the United Nations Environment Program, which supports countries in implementing environmental measures. The SICA is the System of Central American Integration, which promotes the integration of Central America in favor of development. 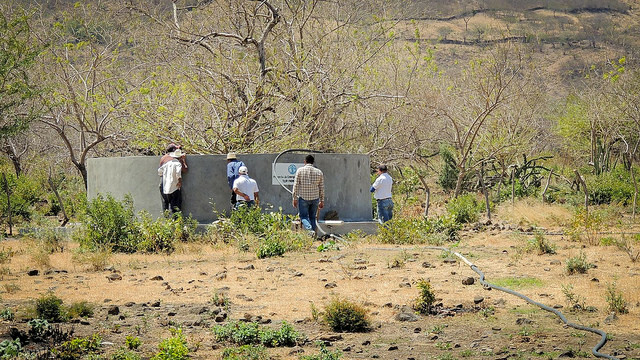 The Central American Agricultural Council (CAC), the Central American Commission for Environment and Development (CCAD) and the Central American Center for the Prevention of Natural Disasters (CEPREDENAC) are derived from SICA and focus some of their efforts in the Dry Corridor area. The Central American Bank for Economic Integration (CABEI), which is also associated with SICA, aims to provide financing for economic development and integration in the region. The World Bank is an international organization that provides financial and technical assistance to help reduce poverty in developing nations. IFAD is the International Fund for Agricultural Development, which provides funds and mobilizes resources to ensure economic and social progress through agriculture in poor rural areas. WFP is the World Food Program. WFP delivers food assistance in emergencies and works with governments and communities to improve nutrition and build resilience. Although the average rainfall in 2001 was similar to the historical average(2), there was an abnormal pattern from May to October that severely impacted crops and livestock holdings. Corn, rice and sorghum harvests, among others, were seriously affected or completely lost. Facing the problem of availability and access to basic grains, the governments of the affected nations had to activate emergency food funds6. And it was not the first time. Although abnormal weather patterns were also detected in 2004, it was in 2009 when the “El Niño” weather phenomenon caused a major water deficit in Central America, which intensified in July, August and September – the key production months for basic grains. 50% - 100% of the grain harvests were once again severely affected, in addition to negative impacts on livestock, aviculture, apiculture, fishing, and sugar cane and coffee crops, among others. 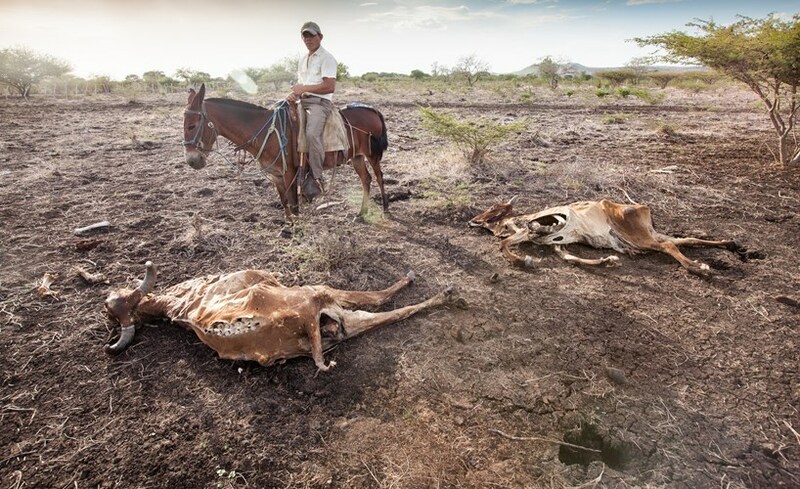 The term “Central America Dry Corridor” was used for the first time in the summer of 2009 to describe the area plagued by repeated droughts and the consequent famines and crop losses from Eastern Guatemala to Northern Nicaragua to the central-southern region of Honduras. 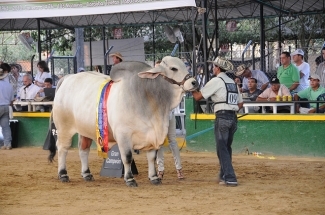 The FAO Subregional Office for Mesoamerica (SLM) in Panama strengthened its ties to the Central American Agricultural Council (CAC) and other organizations within the Central American Integration System (SICA). The common goal of fighting the extreme effects of climate change in the Dry Corridor was gaining momentum. By 2010, the situation had gotten worse after intense rainfall and an extended dry period during the first and second cycles of sowing seeds. In October of 2011, towards the end of the rainy hurricane season in the Pacific, the tropical cyclone Twelve-E brought 11 consecutive days of torrential rainfall to the region. 2.5 million people suffered from its devastating effects, which forced the evacuation of many of the region’s inhabitants and caused at least 80 deaths. 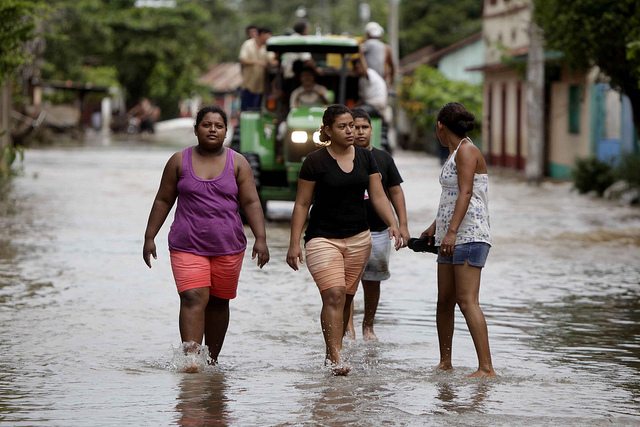 Twenty-one rivers overflowed in El Salvador alone. In light of the events in Central America, as well as in other regions, FAO launched the first Regional Strategy for Disaster Risk Management in Latin America and the Caribbean (2011-2013). In 2014, ENOS was not declared, but some of the countries in the region experienced a drought. Within this context, El Niño in 2015 had a cumulative effect due to repeated droughts, placing many families in a critical situation in terms of food. This is the year that evidence was brought to light of the exponential relationship between the climate and hunger in the Dry Corridor – drought led to malnutrition, affecting the most vulnerable population: indigenous communities, women and children. By the end of the year, over three million people in the region found themselves in situations of acute food insecurity, and two million people were in need of immediate assistance. The drought of 2015 was considered to be the worst in 30 years. 2015 also was the year of new agreements designed to support resilience in the face of the negative impacts of climate change. The Sendai Framework for Disaster Risk Reduction was approved in March. The Sustainable Development Goals (SDG) were launched at the end of September 2015, and the Paris Agreement on climate change was signed at the 21st United Nations Climate Change Conference in Paris. It explicitly emphasized the need to foster sustainable, resilient production systems in the face of increasing climate instability, promoting carbon sequestration, and reducing the emissions of greenhouse gases. 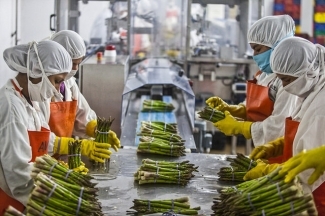 The Central American Agricultural Council (CAC) backed the appeal with the implementation of the Adapted Climate Strategy for Sustainable Agriculture, which aims to adapt the COP21 proposal to the Central American context. 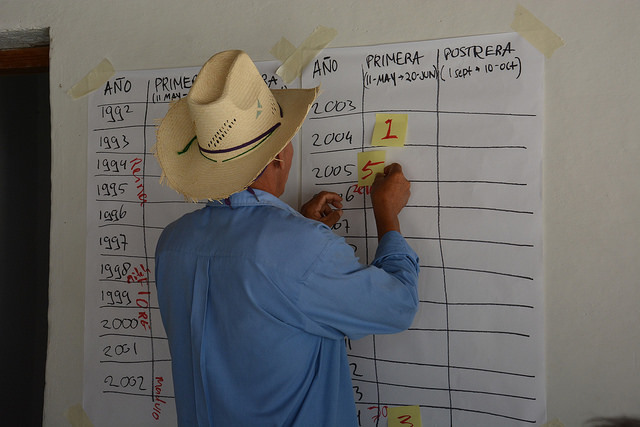 FAO launched the Program for building resilience in the Central America Dry Corridor and the World Bank initiated proposals, such as the Corredor Seco Food Security Project in Honduras. In March of 2016, during the 34th Regional FAO Conference in Mexico, the Special Session for Attention to the Central America Dry Corridor Situation was held, which called for international cooperation to deal with the problems in the region due to the previous year’s drought. In April of 2016, the Central American Commission for Environment and Development (CCAD) started developing an agenda to build resilience in the region, proposing an integrated action framework focused on providing support to the most vulnerable population. 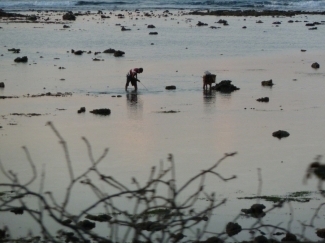 With the support of FAO, the Central American Bank for Economic Integration (CABEI) and the United Nations Environment Programme (UNEP) agreed to prepare a Funding Proposal to present to the Green Climate Fund (GCF) in 2017, which would also include the arid zones of the Dominican Republic. That same year, the Ministers of Environment and Agriculture of Costa Rica, El Salvador, Guatemala, Honduras, Nicaragua, Panama, and the Dominican Republic met in Managua and developed strategic guides with the support of FAO and UNEP. These guides would eventually serve as reference material to prepare the aforementioned proposal. 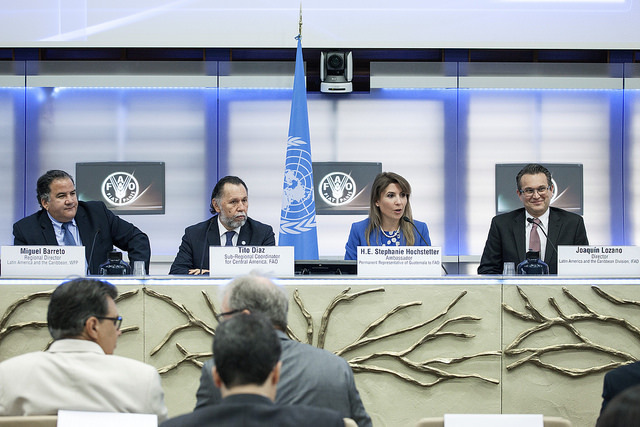 On June 30th, the UN held a high level meeting in Rome, which was attended by the heads of the UN agencies headquartered in Rome (FAO, WFP and IFAD), the Ministers of Agriculture of the affected countries and key partners in the region. Three dimensions of the problem were addressed: the human, environmental and socioeconomic facets. Participants were encouraged to launch long-term initiatives in favor of development, food security and livelihoods. In the second half of 2016, the World Bank and FAO began working with counterparts in the Dominican Republic on a cooperation proposal for the country's Dry Corridor regions. This project would invest a total of US $80 million in the agricultural use and conservation of natural resources, and would involve 6 years of work in the most affected areas of the country. The formulation of the aforementioned "Program to Strengthen Resilience to Climate Change for the Central American Dry Corridor and the Arid Zones of the Dominican Republic" was officially confirmed in June of this year. This program is mainly focused on maximizing the adaptability of the most vulnerable communities whose livelihoods are fundamentally linked to the ecosystems in which they live. It is the result of the joint efforts of CCAD, CABEI, FAO, UNEP, and the eight countries of the Central American Integration System (SICA). At the time this article was written, El Niño/ENOS had not been declared in 2017. Author: Jordi Vaqué, Information and Communications Management at the FAO Investment Centre, Latin America and the Caribbean Division (TCIC).